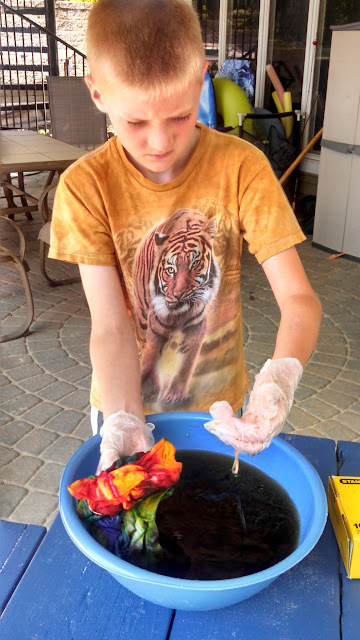 I've been wanting to do some tie dying with my kids for awhile now but I wasn't feeling all that brave or prepared. I finally decided today was the day to tackle our project. It was nice and sunny out but not too hot to be outside without melting and I had been gearing up for this in my mind for over a week (when we bought all the supplies). 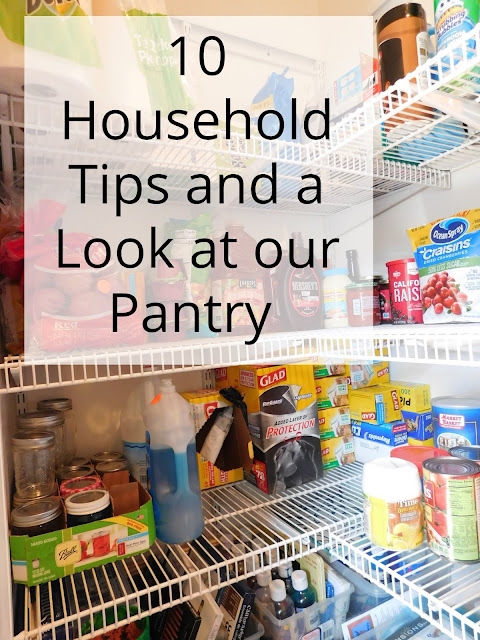 I found with a little planning on my part it was actually quite fun and not messy at all. 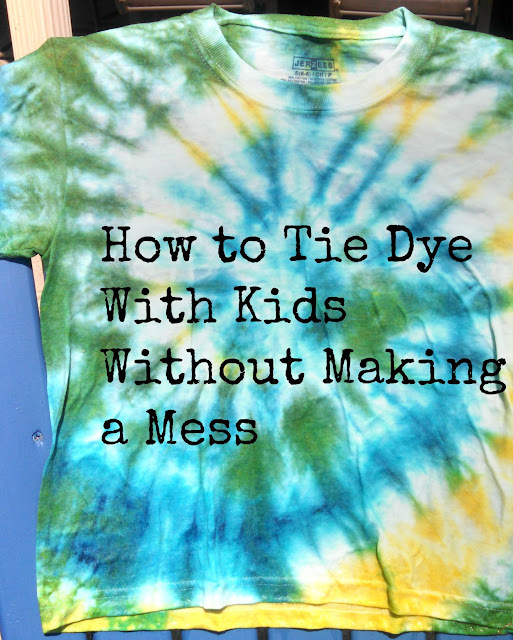 Who knew tie dying with kids could be so simple and fun?? 1. I pre-washed the shirts to remove all sizing and since I washed them a day or two ago I did dry them; just not with any dryer sheets. 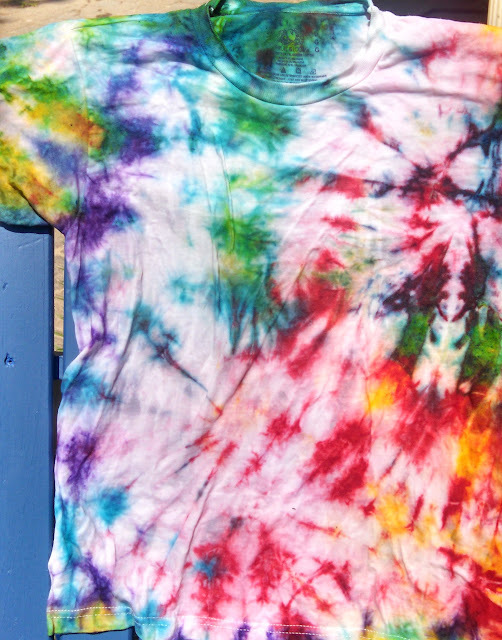 We used regular 100% cotton white t-shirts. 2. This morning as I was reading up on preparing the dye I put all the shirts together in the sink in some salty water. 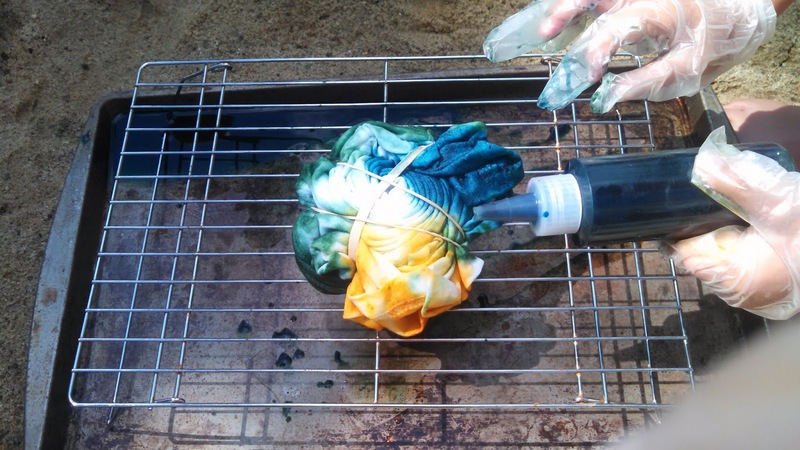 I had read that adding hot water and salt to the dye helps it adhere better to cotton and since our squirt bottles were so small I thought I'd try adding the salt directly to the water I was soaking the shirts in. 3. 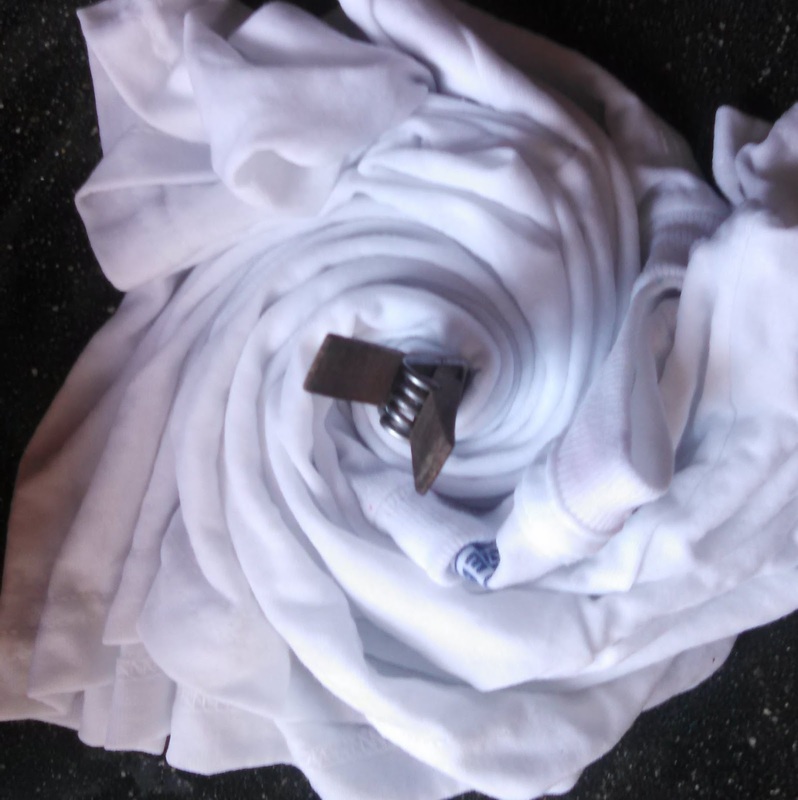 We set out the shirts on the counter and the boys all decided they wanted a spiral design so they used clothespins to pinch the center of their spiral and started twisting. Alec decided on three spirals so he has three clothespins. when they had a spiral they thought they'd like we held them in place with elastic bands. 4. I put 1/2 a package of powdered RIT dye in our quirt bottles and added 1/2 cup HOT water; as hot as our tap would get it. I had some latex gloves on and covering up the hole on the squirt bottles I gave them all a nice big shake until the powder appeared to have dissolved. 5. We then loaded up trays and brought everything outside. 6. 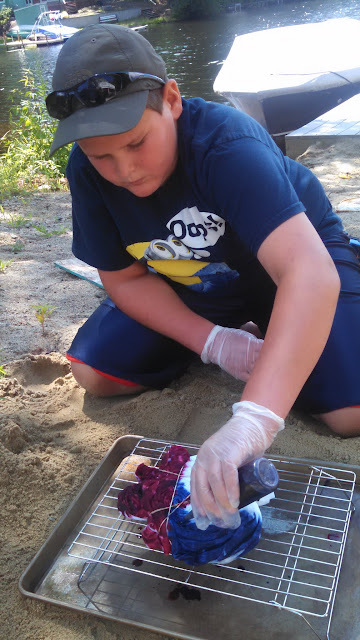 I had three cookie sheets, three drying racks (like we use for baking cookies), and three large Ziploc bags set up in the sand for each boy. 7. 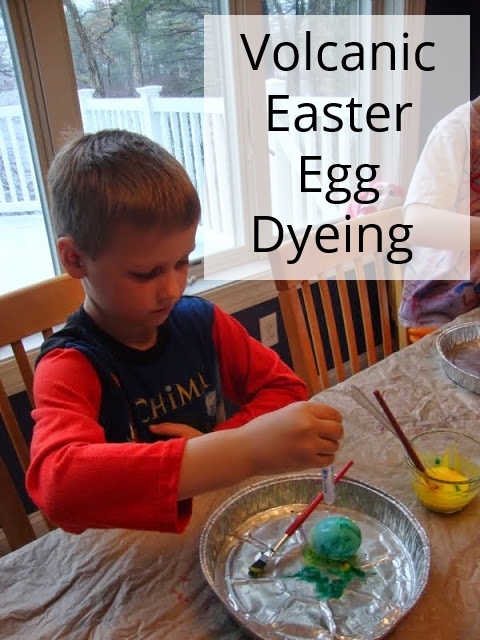 They set their shirts on the drying rack, which was inside the cookie sheet and set to work squirting on all the colors they wanted in the pattern they thought looked good. 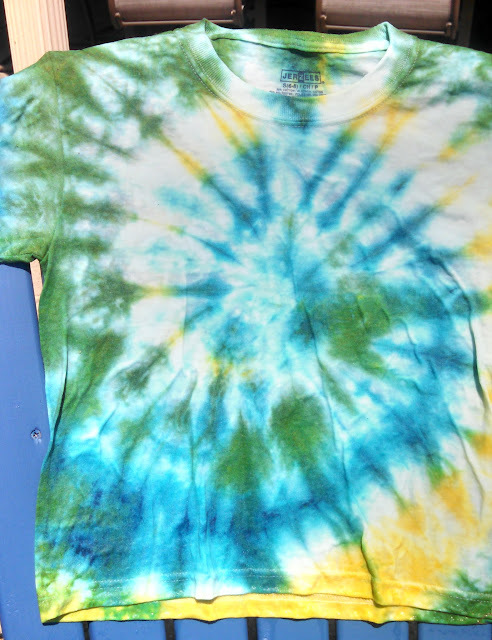 I made sure they all used plenty of dye and really soaked through the shirt so no white was showing. 8. We flipped the shirts over and repeated the process on the back side. 9. 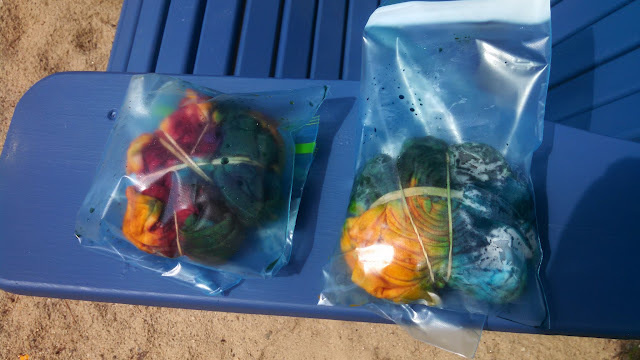 Once they were done adding dye and were happy with their colors we put each shirt in it's own Ziploc bag and sealed them shut. 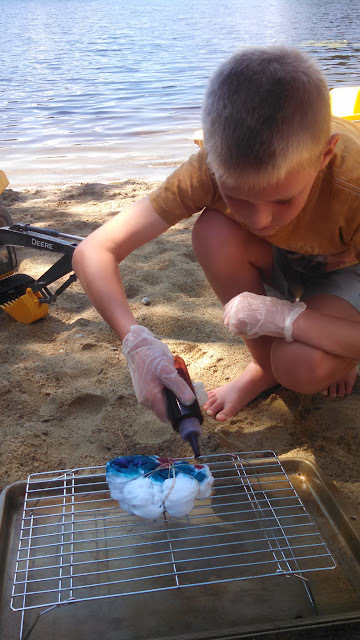 Then we left them in the sun since heat is supposed to help the dye set and we set our timer for one hour. 10. After the hour was up, we brought three large plastic dollar store bowls (that we use for making play dough and silly putty) and filled them with warm water. We then rinsed each shirt off a few times; refilling the bucket with clean water as many times as necessary until the water was staying clean. 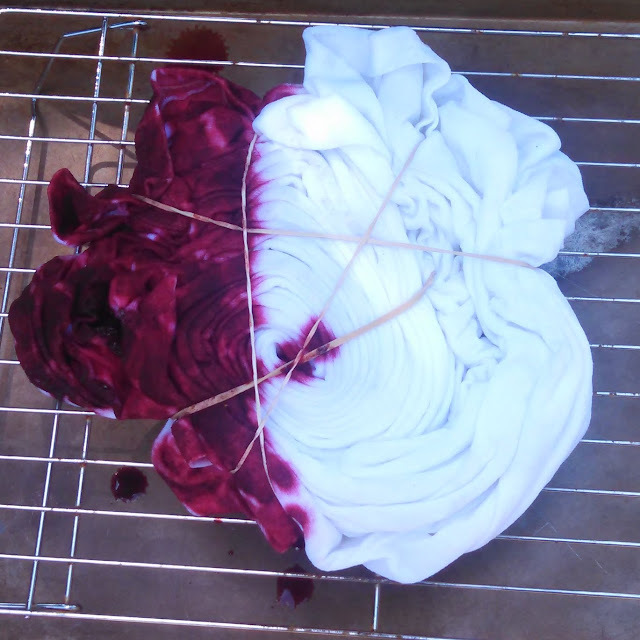 11.We then hung the shirts up to dry in the sun. It may sound like a lot of steps but we finished all of the shirts in less than 2 and half hours including the hour they sat in the sun. The boys loved their shirts so much they asked if they could make another one so we spent the afternoon searching in their drawers for anything white. Wow! These shirts look really great :) I bet they love wearing them, too. 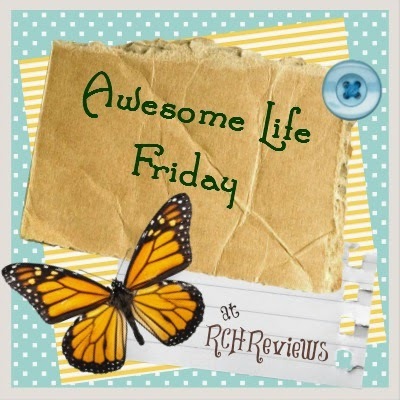 Thanks for sharing your wonderful post at Together on Tuesdays!!! Yep, they've worn them already and have gotten lots of compliments on them. I really want to do this with my kids. 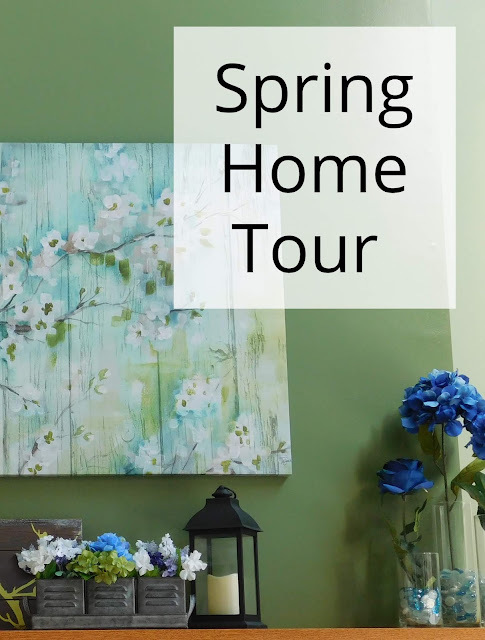 Thanks for the ideas on how to have fun without the mess! I loved the way they came out thought that I should have bought a shirt for myself and joined in! Do you actually live in a beach? We live on a lake so yeah we have a small sandy beach right in our backyard! Perfect for messy art and science projects. Wow! This is so cool! I can wait for my little one to get a little bigger and do some of these. I think that they might just try to eat the paint now. lol! LOL; yeah you don't want them trying to eat the paint. 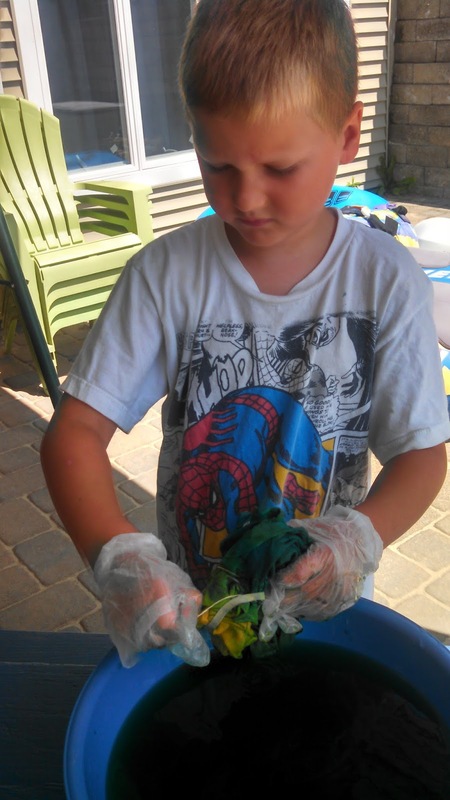 We did tie dying with the kids in our daycare though then I worked there. 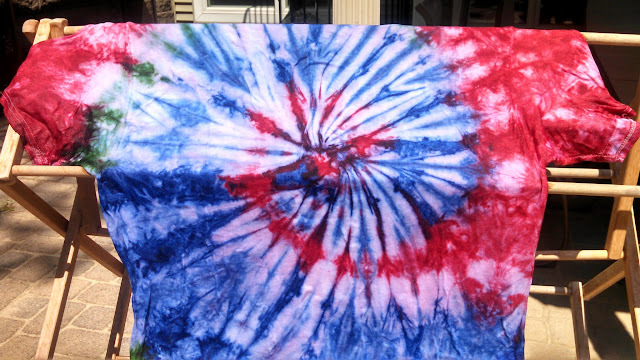 Of course us teachers did most of the work and they just squirted the dye onto the fabric. 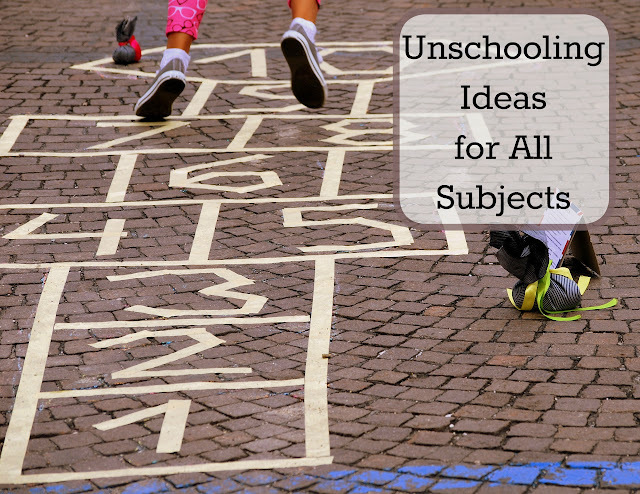 It's much easier and more fun to wait and have the older kids participate more.